Home / Uncategorized / The 6 Rarest and Most Expensive Essential Oils on the Planet: Are They Worth It? Besides the fact that they’re natural and versatile, essential oils are loved by many because of their affordability. 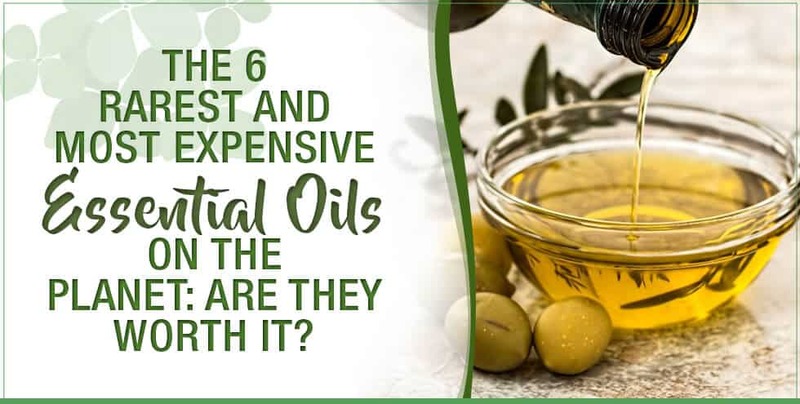 For instance, just one bottle of lavender essential oil can treat headaches, anxiety, bacterial infections and inflammation without costing more than ten dollars. But, there are several essential oils that are actually incredibly expensive. These oils are derived from plants that aren’t as easy to come by as, for instance, peppermint or rosemary. Today, you’ll learn about which essential oils are extremely rare and pricey. You’ll also learn what makes them such coveted products. Bulgarian rose essential oil comes out to a little under one thousand dollars per ounce, making it an incredibly pricey product. 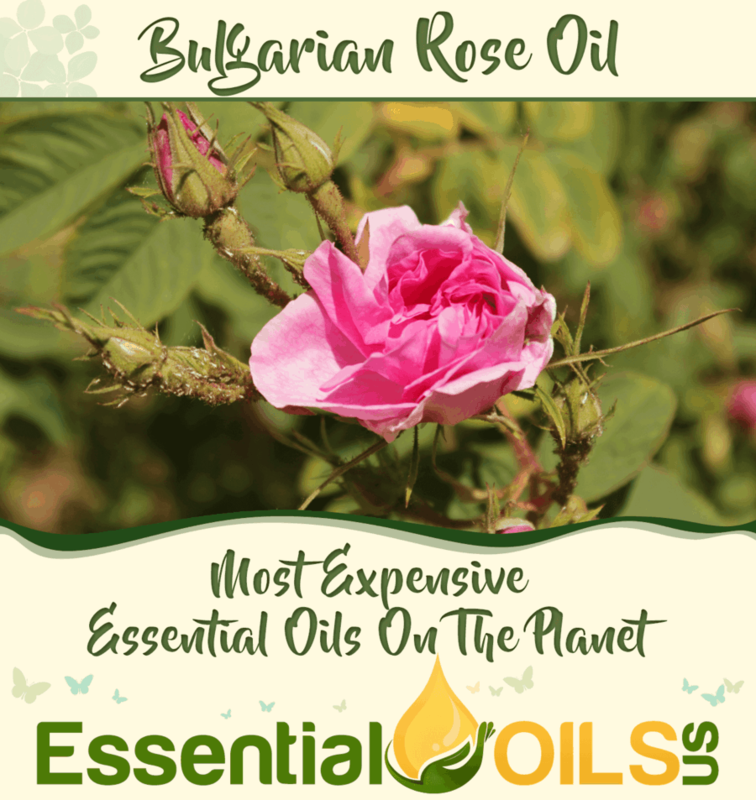 The high cost is due to the fact that it takes about five hundred pounds of Bulgarian rose petals in order to produce a single ounce of this incredible oil. Bulgarian roses are renowned for being the most aromatic roses on the planet, making this particular oil a prized possession among the few who can afford it. Besides its incredible fragrance, Bulgarian rose essential oil boasts many health benefits. It boosts circulation and detoxifies the kidneys and liver. It’s also known for improving one’s cardiovascular health. Additionally, Bulgarian rose essential oil has been used for centuries as a natural aphrodisiac. Cannabis flower essential oil comes from the flowers of the cannabis plant. In other words, this coveted oil is derived from marijuana. The flowers contain significantly less THC than the plant’s buds, meaning that this essential oil isn’t psychoactive. 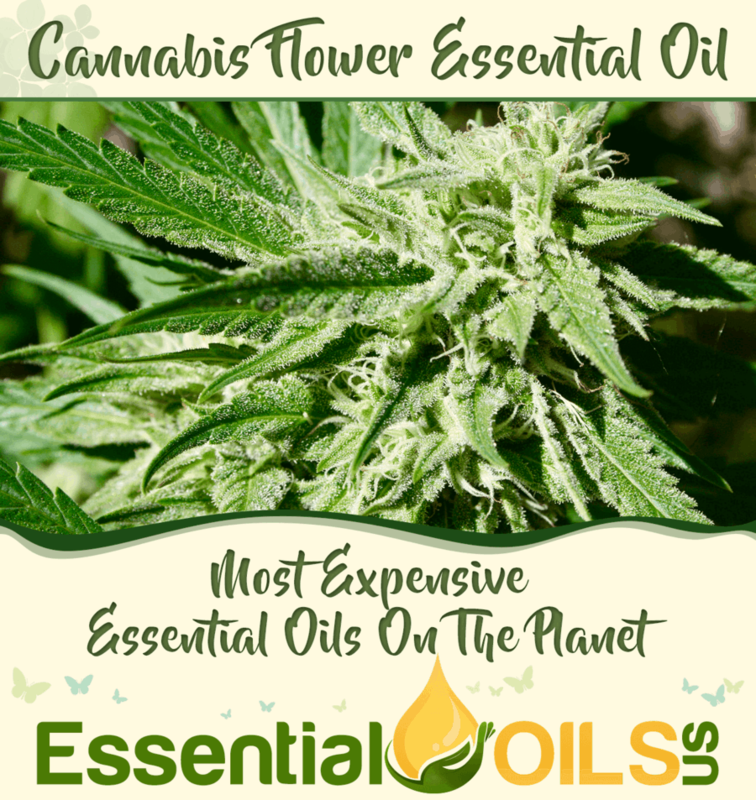 But, as more and more studies are demonstrating the remarkable health benefits of cannabis, this rare essential oil is becoming more and more popular. Unsurprisingly, cannabis essential oil’s health benefits are similar to those of marijuana buds. The oil can promote sleep, calm anxiety, boost the appetite, fight cancer and treat physical pain of all kinds. But, before you go ahead and find a bottle for yourself, prepare to spend just under one thousand dollars per ounce. Native to Mexico, the tuberose flower boasts an intoxicating aroma that has notes of peaches and spices. Its warm fragrance is believed by many to be a potent aphrodisiac. For centuries, women have been using tuberose absolute essential oil, the oil that’s extracted from these flowers, to attract a romantic partner. The oil has also been used to boost creativity and clear the mind. Plus, it’s a powerful anti-inflammatory product that can treat pain and clear the skin. In order to make tuberose absolute essential oil, a mind-boggling amount of tuberose flowers must be distilled. 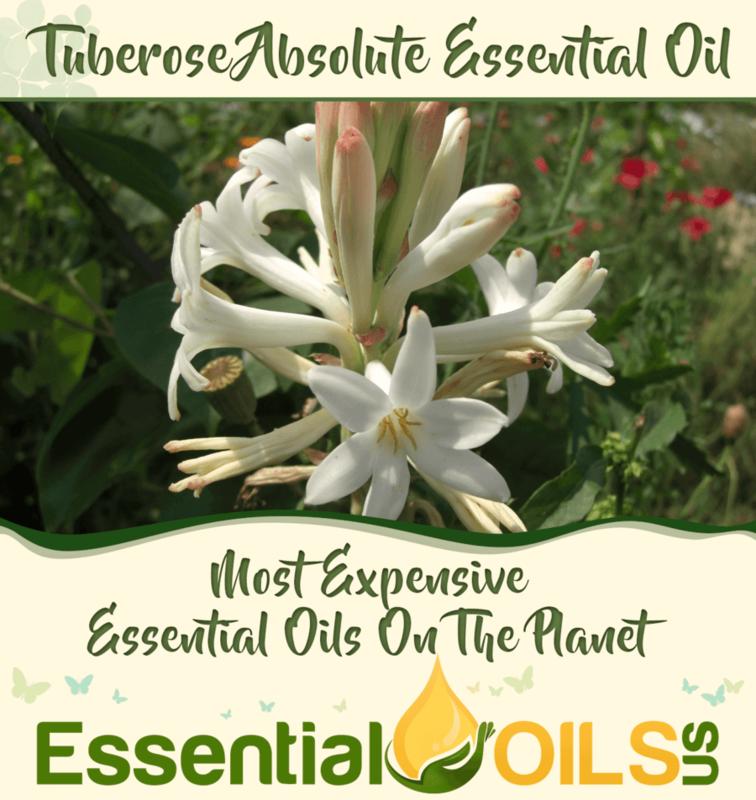 For this reason, each ounce of tuberose absolute essential oil costs just over sixteen hundred dollars. 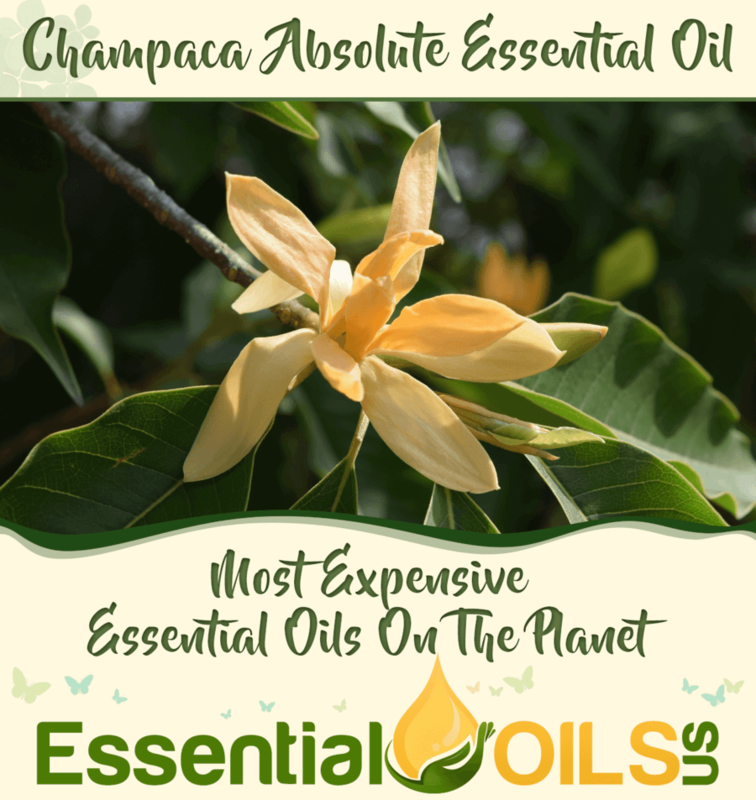 Champaca essential oil possesses a wide range of healing properties that make this product so alluring. Many believe it to be a magical product because of its unbelievable effects on depression, vertigo, headaches and nausea. Additionally, the oil is considered to be a potent aphrodisiac. The champaca flowers come from West Asia, where women collect them and wear them in their hair and on their clothes. Many find its citrusy and floral aroma intoxicating. If you want to purchase an ounce of champaca essential oil, you’d better have at least two thousand dollars to spare. Frangipani essential oil comes from the flowers of the Plumeria plant that’s native to Africa. Its sweet, floral aroma is beloved by many who are from the region in which the plant grows. The oil is renowned for its healing effects on the skin as well as its ability to alleviate stress and anxiety. Because of its glorious aroma, frangipani essential oil is often found in high-end skincare products. 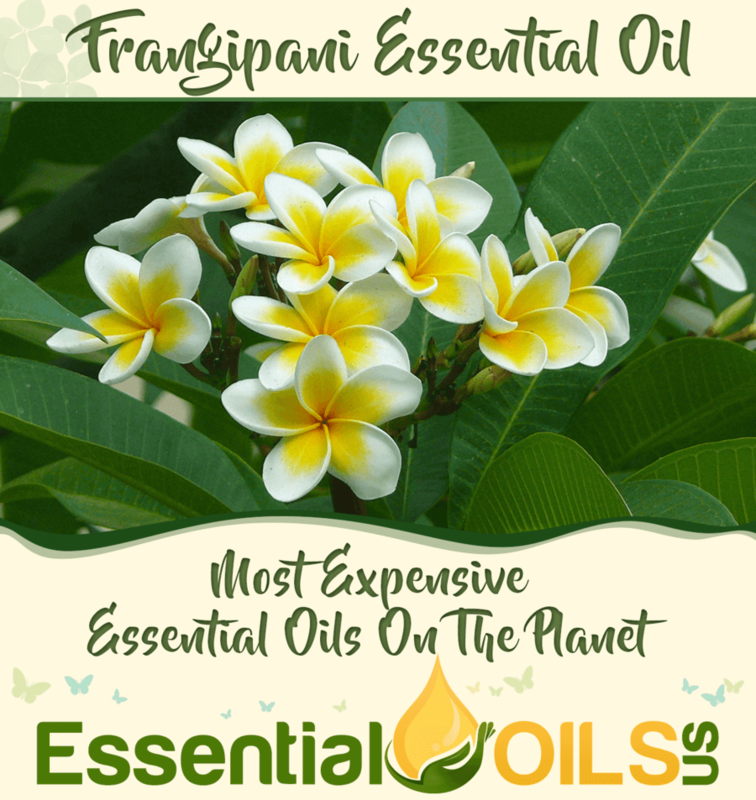 If you want to purchase an ounce of frangipani essential oil and explore its many benefits, it’s going to cost you about fifteen hundred dollars. 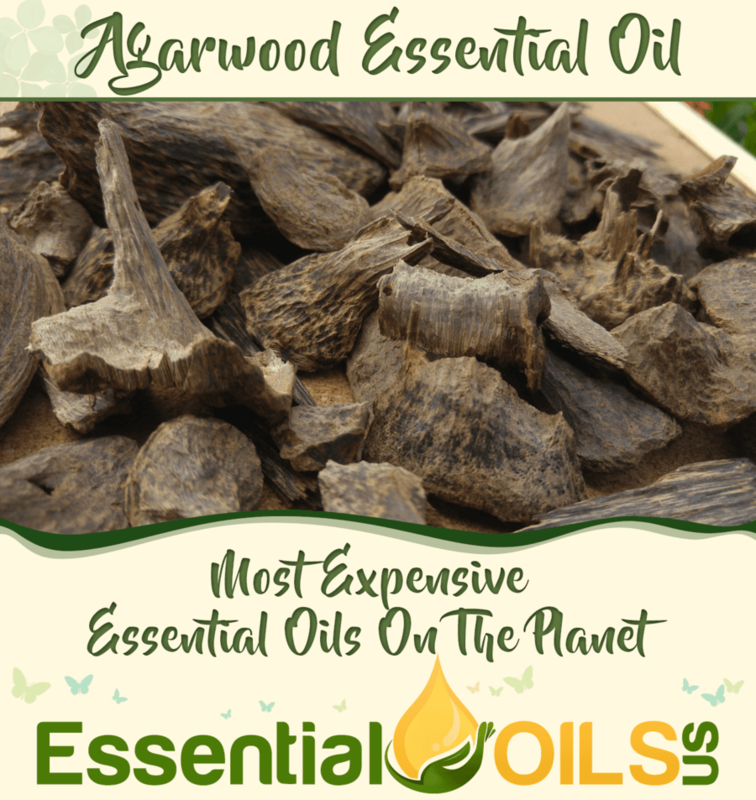 Agarwood essential oil is extracted from the bark of agarwood trees that have been treated with a special type of mold. This mold gives the bark a coat of resin that enhances its healing properties. At a little above six hundred dollars per ounce, this oil is anything but cheap. Known as a natural sedative, agarwood essential oil is sought out by many who suffer from anxiety and depression. The oil also has pain-relieving abilities in addition to an extremely potent woodsy aroma. These six essential oils aren’t exactly affordable. But, you’ll quickly find that their incredible healing properties and intoxicating aromas make them worth it, assuming that you can afford their outrageously high price tags. If you’ve ever experimented with any of the oils listed above, leave us a comment and tell us what you think!